For the sake of being closest to our customers expectations, the group Beverly proposes 5 effectives, welcoming and pleasant boutiques in the heart of Cannes. Every Beverly Pressing dry cleaning boutique is specialized in the care and the maintenance of textiles by offering a professional service, sophisticated and high-quality at a competitive price, with the short notice. 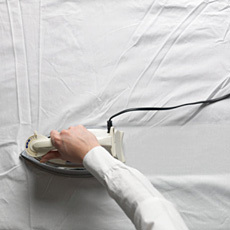 Thanks to their savoir-faire allying tradition and modernity, Beverly experts offer a personalized service and answer all the requests of his customers, every article is handled with precaution and care, that it is washed, bathed, dried, prepared, ironed, repaired it is always according to the rule book.